There’s a 99.99% chance that your friends, family, and well-meaning relatives will not support you. Knowing that, do you honestly want to set yourself up for rejection and pain? Out here on the internet, Attraction Marketing rules! Don’t go out and force your ideas or business down people’s throats. You mainly wait for those who are truly interested to contact you. But what about those relatives and friends that you don’t want to leave behind? The content below is available to SWA Ultimate members who joined the team of Manny Viloria. What are you waiting for? Click Here and Join SWA Ultimate today! 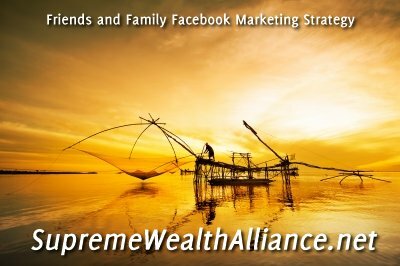 The above tactic will help you easily find out who among your friends and relatives are interested in your business, without the risk of fights, samaaan ng loob, or rejection.